Warm sun, clouds closing in with thunder, lighting and heavy rain tortured the Championship night of the 74th Australian Speedcar Championship before the hurricane arrived in the shape of Adam Clarke. The defending Champion after an ordinary start on the preliminary night turned that around on a very fast race track, lots of cautions to win the 74th Australian Championship. This was back to back wins making Clarke a four time winner of this most sought Title. The banked Premier oval offered plenty for the drivers and Oklahoma’s Tyler Thomas continued his previous nights blistering high line style to chase aggressively after Clarke early . 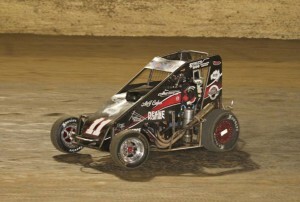 Alex Bright was also lighting up the track as he chased his first Australian Speedcar Championship. The former Magic Man 34 Winner had the Graham Jones Racing, really buzzing! Towards the end of the 40 lap Championship Nathan Smee started to pressure Clarke, his American Racing Tires Service Spike appeared to be a handful for the former Champion as he worked overtime to keep the pressure of the Jack Berry Racing /Polar Ice car. .The work behind the fences by track staff goes unnoticed in many cases but one who appreciated their efforts was Adam Clarke, standing in victory lane with his crew and car Owner. Starting the year with a new team, new staff offered some challenges to Clark as he struggled to get on terms and the early result would certainly been below both his and the teams expectations. 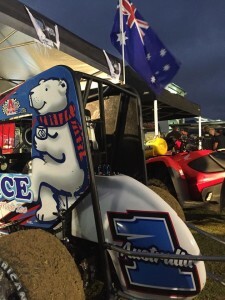 Saturday night the Polar Ice team was white hot and Clarke again stamping himself as Australian Champion and number one! While there can only be one Champion there were many efforts during the Championship that need to be recognized. The Americans lead by Bight and Thomas. The determination of Davey Ray with his back of the field rushes. Brendan Palmer the Preliminary Night winner who finished 6th and the mighty effort by Mark Brown coming from deep in the B main to finish fifth in the Championship decider . 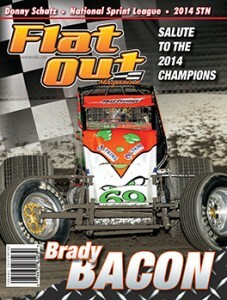 This report is proudly brought to you by FLAT OUT MAGAZINE keep up to date with all the open wheel action from the US . The February edition out now in Australian and New Zealand .Purchase online from the Flat Out Page on this site Au$7.95 direct to you door secure payment by Palpay . 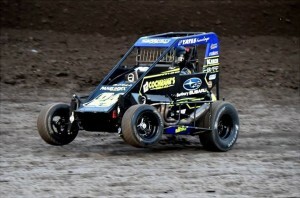 This week end in Warnambool Premier Speedway will host the 74th running of the Australian Speedcar Championship. To carry the Australia 1 on your racecar is the spoils for the Champion.The Championship is an open event and over the years the Title has gone off shore to many legends of the sport. 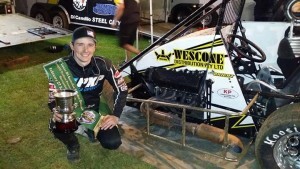 Making an early statement is Western Australian Dayne Kingshott with successive Speedcar Pro Series Championships in the bag the West Aussie last week end added the Victorian Title to his ever increasing resume of race credits. Kingshott has been without doubt the stand out driver this year and the high banks of the Premier Speedway Oval will hold no fears for Bunbury based young charger. 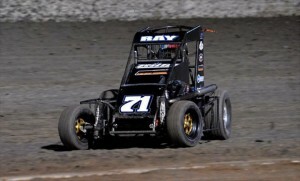 The track where he won the Grand Final of the Speedcar Pro Series earlier this year is the perfect venue for the 74th Australian Speedcar Championship. The nominations for the Championship has a strong car count of 51 racecar from all sides of the country. 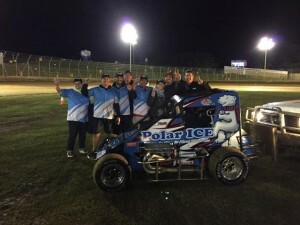 The defending Champion Adam Clarke returns with his Title on the line in a new car with new team owner Jack Berry, Polar Ice Racing .The Hunter Valley Hurricane has the experience and Warnambool knowledge to gain a fourth Australian Championship. In the field of 51 there are many strong chances and it would not be a surprise to see young Kaiden Manders right in the mix for this Championship. Manders first set tongues wagging with his impressive win in the Magic Man 34 back in November against a strong international field. Driving the W11 his car owner Keith McAllen will be hoping to regain the car number A1 lost when Adam Clarke moved to jack Berry/Polar Ice Racing. Sydney’s Mark Brown after his strong second to Kingshott in the Victorian Championship is on song and would love nothing less than to carry the Australia One for 2015. The N9 KTEQ Rentals / Tapout Energy Drinks N9 Spike Esslinger is hitting race winning form at the right moment. The Championship will be run over the two night’s around the high banks of Warnambool’s Premier Speedway .Country town Warrnambool might be but this weekend it is the centre of Australian Speedcar Action . Talking Speedway is supported bythe February issue of Flat Out magazine ,Avilable on line vist our FLAT PAGE $7.95 AU Delive red to your door by Australia .Secure payment by Palpay.